Atlas ACFoam wanted an ad campaign that had impact. They wanted something more than just technical photo of their foam in a roof assembly. We thought, wouldn't it be fun to see this foam be used to build life-size animals that embody the attributes of the product. So that's what we did. 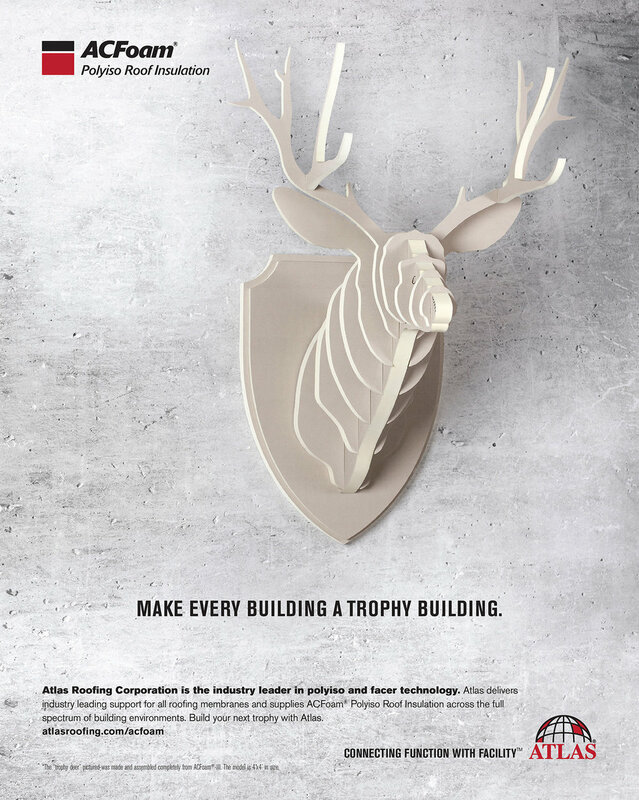 We initially built a trophy deer and a life-size rhino (yes, it was 12 feet tail to horn) for their print and digital advertisements. The company as well as the public had such a great response, so we made more. Atlas wanted the animals to be used as the theme of the trade show booth that year so we ended up designing and flying out to Vegas to construct a total of 5 animals. The animals were a huge hit at the trade show and had many people stopping to take selfies with them.